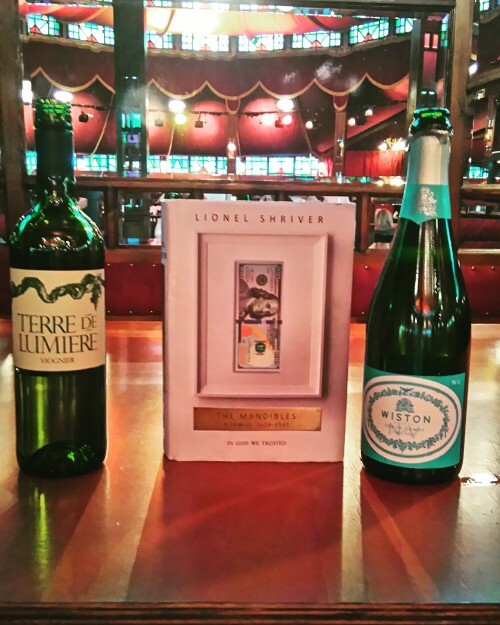 Our Fifth #NovelPairing was decided live at Cheltenham Literary Festival with Corney & Barrow buyer, Rebecca Palmer and acclaimed novelist Lionel Shriver. Lionel Shriver goes where other writers fear to tread. The Mandibles opens in 2029 in America where the economy is collapsing and society imploding. 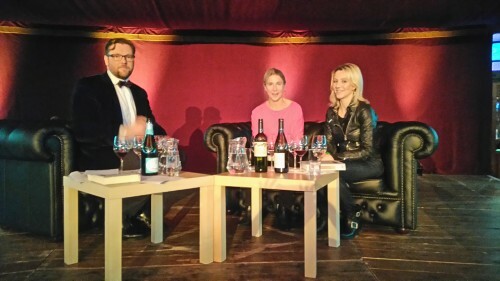 Lionel joined Damian and Rebecca Palmer from Corney & Barrow for A Book and a Bottle Salon at the Cheltenham Literature Festival. You don’t pick up a Lionel Shriver novel expecting an easy, comforting read. It would be foolish to kick off your shoes and put up your feet– better don a suit of armour and sharpen your wits for the acerbic author of the infamous ‘We Need To Talk About Kevin’. Shriver’s latest novel is by turns thrilling and hilarious- a combination few writers could pull off. The Mandible family have been expecting to inherit a fortune from their grandfather, the cravatted and cultured Douglas, a famous literary agent. But in 2029 the dollar is devalued spectacularly – a cabbage soars to $20 and water is rationed. Mass unemployment, hyper-inflation and civil unrest are the backdrop for this increasingly prescient novel. “It’s crazy how real it’s all becoming,” said Shriver, at our special Salon. “Food inflation has already started—look at Marmite-gate. We’ll have wars over water soon. But really, this is a family drama. And it’s all about class. To begin, things are about as bad as they get – the whole clan is forced to live under one roof. Spectacular rows ensue as ancient family resentments resurface between the two sisters, Florence and Avery. Supermarket shelves empty as hoarders swoop and their gentrified neighbourhood descends into a no-go zone roamed by yuppies turned robber. Levity arrives with the return of Nollie, the sarcastic older sister, a novelist who has been living in Paris on her limited fame. “Of course she’s based on me,” cackled Lionel. “I mean, I couldn’t write a novel in which my selfish ageing generation is the cause of all this woe without poking fun at myself.” Nollie is, of course, an anagram of Lionel. No wonder they could all do with a drink. Viognier is the choice tipple of Avery, a therapist, and Lowell, an economics professor fired for not predicting the crash. “It’s a deliciously sly choice,” says Rebecca Palmer from Corney & Barrow. “Just wine savvy enough, the wine version of Farrow & Ball to mark them out from Dulux Pinot Grigio. Good Viognier is rarely cheap and Avery hides the receipt in the trashcan – ‘the exchange rate with the nouveau franc must have been ghastly’. 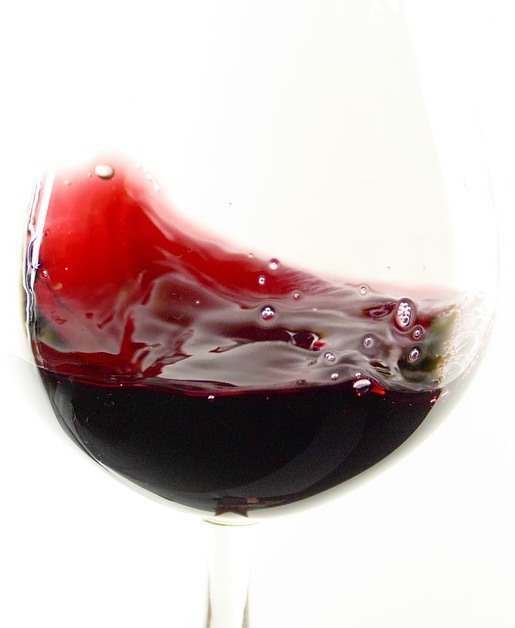 Châteauneuf-du-Pape Cuvée Tradition 2014, Vignobles Gonnet is certainly all of that. “I want this wine to run in my veins,” says Lionel. So, Terre de Lumière Viognier is the perfect #NovelPairing for the Mandibles. A toast to the end of the world as we know it!